I did a previous post on Technicolor here. The ASC website did a very good follow up article about Technicolor and I posted it here too. This is from their site and they own it. It is posted here under fair use and for comment and educational use only. Authors James Layton and David Pierce discuss how Herbert Kalmus, Walt Disney and Ray Rennahan, ASC, all contributed to Technicolor’s success. Over the course of its storied first century, Technicolor came to represent more than a motion-picture technology company. Marked by a vividness of color and an exuberant style, Technicolor became synonymous with an entire era of Hollywood filmmaking, the golden age of studio production from the late 1930s to the early 1950s. This era did not emerge overnight, however, and a new book by James Layton and David Pierce, The Dawn of Technicolor 1915-1935, published by George Eastman House to coincide with Technicolor’s 100th anniversary, documents the company’s earlier, groundbreaking “two-color” era. It was during this formative period that Technicolor based its technology on the innovative use of red and green filters and dyes — colors chosen to prioritize accurate skin tone and foliage hues. Two-color Technicolor was achieved by way of a beam-splitting prism behind the camera lens that sent light through red and green filters, creating two separate red and green color records on a single strip of black-and-white film. Separate prints of these two color records (with their silver removed) were later cemented together in the final printing process, with red and green dyes then added; this was a complex and error-prone process that later gave way to a two-color “dye-transfer” printing process, in which the color dyes were pressed onto a single piece of film, one color at a time. As Layton and Pierce’s book reveals, this early two-color system, which was unable to properly reproduce blues, purples or yellows, was eventually superseded by Technicolor’s more famous, three-color process. Yet surviving motion pictures from Technicolor’s two-color period, such as Douglas Fairbanks’ The Black Pirate (1926) and the color sequences in Ben-Hur (1925), reveal a subtlety and understated elegance unique to the technology. Lavishly illustrated and meticulously researched, and featuring an extensive filmography co-authored by Crystal Kui, The Dawn of Technicolor includes more than 400 illustrations, over half of which were made directly from negatives and original nitrate prints. Rich in technical detail, the book also offers a fascinating glimpse into the early career of Ray Rennahan, ASC, arguably the most important of Technicolor’s early cinematographers. After cutting his teeth on early Technicolor efforts like the two-color scenes in Cecil DeMille’s The Ten Commandments (1923), Rennahan photographed the first three-color Technicolor feature, Becky Sharp (1935), and won two Academy Awards for Color Cinematography, for Gone with the Wind (1939) and Blood and Sand (1941). Layton and Pierce sat down with AC to discuss their new book at the recent TCM Classic Film Festival, where they presented two-color Technicolor rarities to a packed house at the Egyptian Theatre. American Cinematographer: So much attention has been paid to the introduction of sound in cinema, and comparatively less attention has been paid to color. Why do you think it has taken so long for a book as comprehensive as yours to be published? James Layton: There have been books on Technicolor, but they tend to focus on the complete history, from the beginning to the present. As a result, they’ve been a bit more generalized. Our interest has always been in silent and early sound cinema, and in color and motion-picture technology in particular, so it was natural for us to gravitate to that period. David Pierce: I think that we’re probably at the start of an examination of color and its effect upon audiences. So many of the films that included color, or tinting and toning, were preserved in black-and-white, so those [color processes] were kind of invisible to audiences …. Also, if you dupe a nitrate print of a two-color film, it doesn’t look great. But for various technical reasons, if you do a digital copy, you can actually create a very accurate representation of two-color. 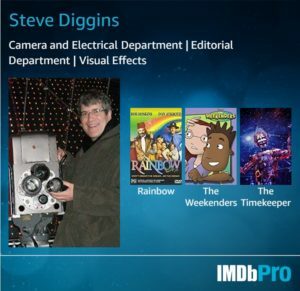 So I think the time is right to look at how directors and cinematographers used those tools. Technicolor was invented by talented MIT researchers who applied their scientific knowledge of color and optics to motion-picture technology. How did the fact that these researchers came out of Boston’s hothouse academic environment, and not from Hollywood, shape their efforts? Layton: They had a very practical and regimented approach. They knew what the end goal was that they wanted, and they just worked in steps. In the book, we talk about a ‘step development’ process. They didn’t try to achieve their goal overnight. It took a lot of money, a lot of research and development. They would just experiment, and keep experimenting, and if something worked, they’d proceed with that. Technicolor had the R&D team from the start. But another reason they were successful was that [Technicolor co-founder] Herbert Kalmus found the investment and secured the money for 15 years before the first year of profit. Most other companies would’ve shut down way before that. 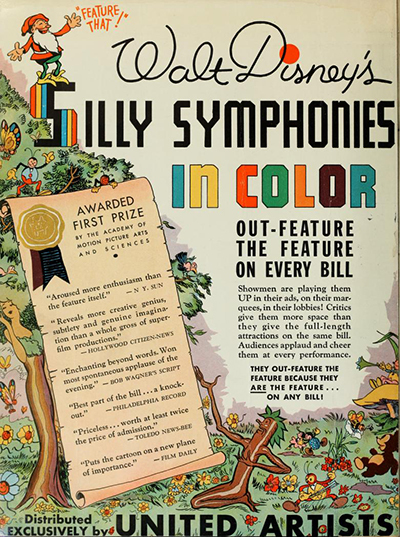 So patience was a key factor in Technicolor’s success during this two-color era. Pierce: Patient capital. The other firms ran out of capital, ran out of funding, before they ran out of technical problems to solve. From the outset, Technicolor had its own proprietary film prints, cameras, lab processes, makeup requirements and shooting style, all of which required specially trained personnel who often worked outside the studio system. What kind of challenges did this create in terms of getting the industry to fully embrace color? Layton: The reason they had all that in place was to maintain high quality, high standards, because if they’d just given it to the studios, the studios wouldn’t have known how to use it properly. The creators of other color processes did that. With Multicolor, for instance, you could adapt any camera, you could buy the stock, and you could shoot it with your own cameraman. And you got a cheaper product for it. Technicolor always wanted to maintain the best quality. Yet there was reportedly some tension between the Hollywood crews and the Technicolor crews on set. Layton: There was a certain mindset in the 1920s — you know, the black-and-white cameramen were ‘artists,’ sculpting with light, et cetera. The Technicolor cameramen were seen more as ‘technicians.’ They used their exposure meters when exposure meters weren’t common, because they had to get a certain amount of light. Also, color was initially seen as a gimmick, some flashy thing that studios were using to sell the film and excite audiences. It wasn’t perceived as artistic or creative. Technicolor had to overcome many challenges during the 1920s and early 1930s, including print quality, competition, the Depression, and even audience ambivalence toward color itself. Technicolor also had to produce its own films in order to convince Hollywood that the technology was viable. It seems that the company’s success owes a great deal to sheer persistence. Pierce: They had a master salesman in Herbert Kalmus, and Kalmus, who was a Ph.D. engineer, quite consciously developed himself into a very accomplished businessman, an excellent communicator. He knew how to cultivate mentors who helped him acquire captains of industry for the Technicolor board of directors, and he was able to communicate about the technology to non-technical people. So the industry saw him as the technical expert, the ‘genius,’ and the engineers saw him as the business leader. He was not the inventor of Technicolor; he was the one who marshaled the resources the engineers needed in order to deliver, and he got them enough time. In that way, he was very much like Steve Jobs. He didn’t write the code, but he hired the right people, he set the goals, and he was able to ensure that what they delivered had an impact on the industry and was what people wanted. Another factor in Technicolor’s success seems to have been that it was championed by people like Douglas Fairbanks, Cecil B. DeMille, Jack Warner and Walt Disney, who really understood color’s potential. Among Technicolor’s patrons, who do you think was the most crucial? Pierce: I think Disney was in many ways the most important, because the test film Flowers and Trees , where they didn’t know if they were going to release it in color or black-and-white, got such an enormous response that Disney decided to release it in color even though United Artists said, ‘We’ve already sold these pictures at a flat rate! We’re going to make less money by releasing this in color!’ Disney, as always, was thinking ahead. This really pulled the entire animation industry into color, and that built up the three-color printing and really helped Technicolor work out the bugs for three-color before there was much live action [in the format]. 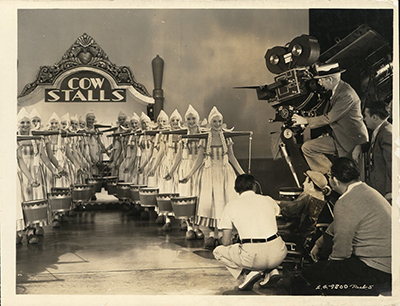 Do you consider Ray Rennahan the greatest of the Technicolor cameramen? Pierce: Technicolor did. He started as an assistant and lab guy, and he had an instinctive understanding of all the skills of black-and-white and how to create effective color. And the quality of his work continued to improve as he grew into that role. Of the other people that Technicolor recruited, including some first-class cameramen, none was really able to work at Rennahan’s caliber. The black-and-white cameramen tended to look down on Technicolor because it didn’t require you to set up your three-point lighting to make the person stand out from the background — color does that for you. So [Technicolor] wasn’t seen as sophisticated in terms of the lighting you used and the knowledge you had to have. But it was much more sophisticated in some ways. For example, you had to understand how to use color balance to draw the viewer’s eye to the right things within the frame. Filmmaking technology is in a constant state of evolution, and the story of Technicolor’s first 20 years seems to offer a world of lessons to modern innovators. What would you say those lessons are? Pierce: I think investors are far less forgiving now than they were back then. Today there’s the need to deliver something that can go commercial faster. Technicolor was not a licensing company; it was a ‘we do it for you’ company. If you were doing something comparable now, you’d probably say, for instance, ‘We’ve come up with a camera phone. Do we build it ourselves so that we’re the only cell phone that has a camera, or do we decide to become a patents company and license it out to everybody?’ Given the technical hurdles, I think engineers coming up with Technicolor today would probably develop the components and then offer it out so that everyone else could become a color company. Do you plan to follow this book with one that looks at the next era of Technicolor? Layton: We’ve kind of joked about it. We’ve already found a lot of research material that was related to the later period. We’ve joked that we could do one that just covers the next five years, up to Gone with the Wind and The Wizard of Oz . There are a lot of stories! Click here to watch a short video produced by George Eastman House about the two-color process.